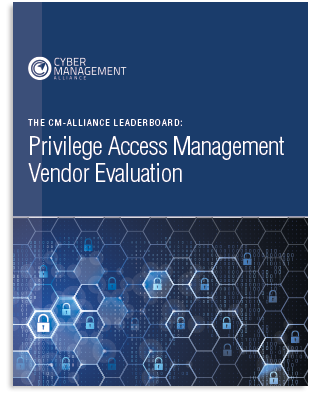 Read this new report, “The CM-Alliance Leaderboard: Privileged Access Management Vendor Evaluation.” You’ll see why Thycotic’s Privileged Access Management (PAM) solution has earned The Leader designation, ahead of CyberArk and all other contenders. Evaluating PAM vendors, London-based Cyber Management Alliance highlights the importance of “product simplicity and ease of use” as key to implementing a successful PAM solution. A very short or zero learning curve. Easy to use features and functionalities. Solutions that can be configured, optimized and fine-tuned by the customer with little or no professional services input. Our researchers were impressed with Thycotic’s enterprise class capabilities of scalability, flexibility and adaptability in one of the industry’s easiest to use and deploy products…The ability for existing staff resources to tweak and optimize the product offers significant cost benefits since Thycotic PAM solutions require little to no professional services for light-weight installations. 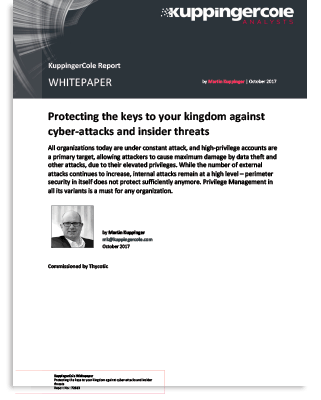 The Complexity Crisis in Cybersecurity: Simplify or Die!